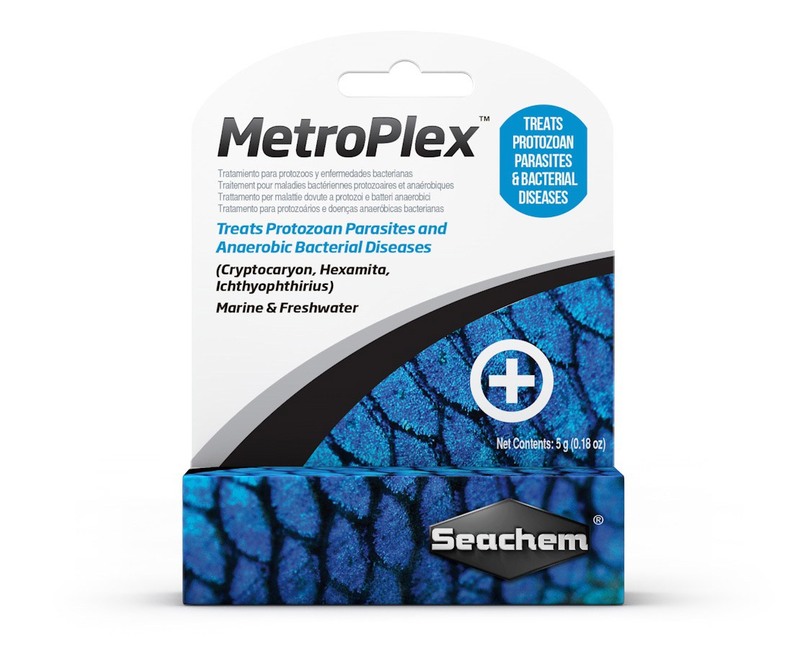 MetroPlex™ is an effective and safe treatment for several protozoan and anaerobic bacterial diseases of fish (Cryptocaryon, Hexamita, Ichthyophthirius). It does not adversely affect the filter bed and is easily removed with carbon. It can either be dosed into the water or combined with Focus™ in a medicated food mix. It will treat both internal and external infections regardless of the delivery method. When used in a medicated food mix, it is excellent for treating parasites in tanks that contain invertebrates. MetroPlex™ is gentle and there little danger of overdosing. 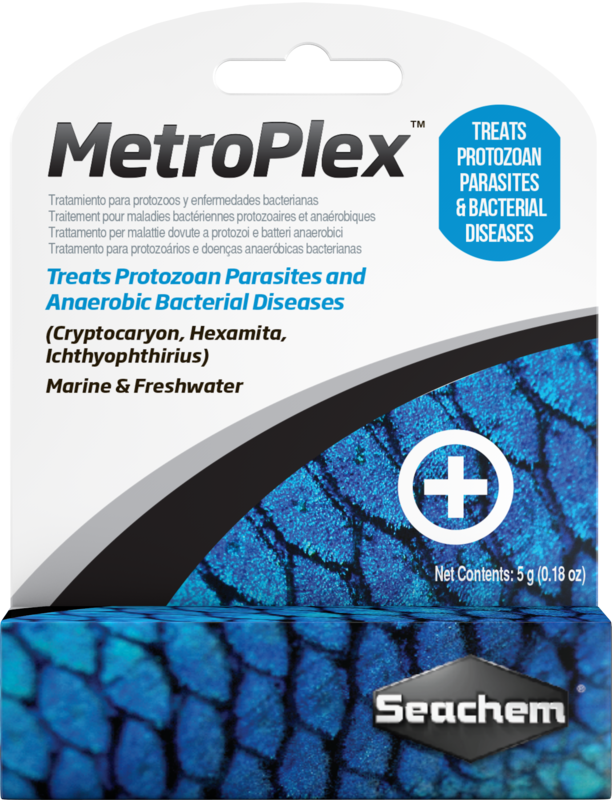 MetroPlex™ is appropriate for treating a variety of protozoan and anaerobic bacterial diseases of fish. Below are some of the more common diseases treatable with MetroPlex™. Be aware that many diseases and infections share similar physical and behavioral symptoms, e.g. clamped fins, lesions, loss of appetite. Remove all invertebrates - these are extremely sensitive to medication. Turn off UV filters, ozone filters, and remove chemical filtration like MatrixCarbon™ and Purigen®. Use 1-2 measures (included) per every 40 L (10 US gallons). Repeat this dose every 48 hours for up to 3 weeks or until symptoms disappear. Can I use MetroPlex™ with invertebrates in my tank? A: Though none of our medications are 100% “reef” safe, we would not hesitate to use and/or recommend MetroPlex™ in a medicated food mix with Focus™ and GarlicGuard™. 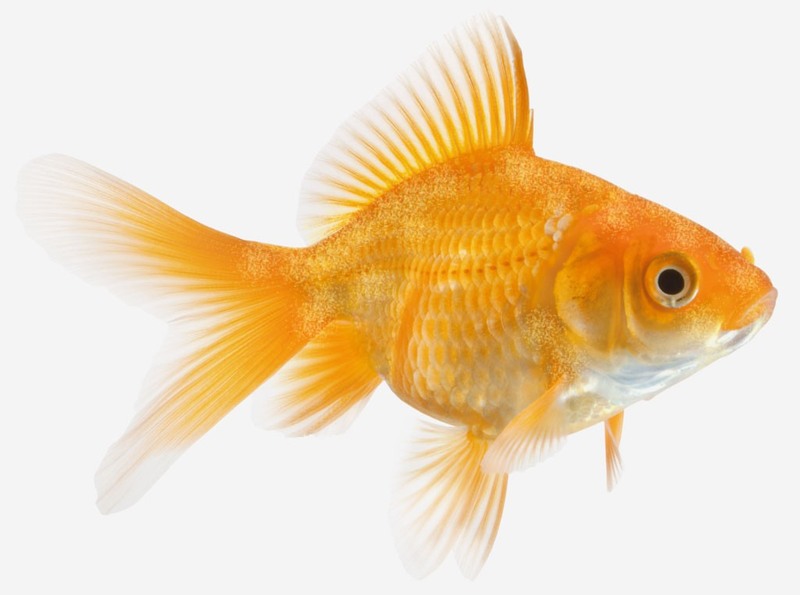 By using it in a medicated food mix, the fish are directly ingesting the medication and very little is getting into he water column. How much medication does the included scoop hold?